WTF Are You Reading? 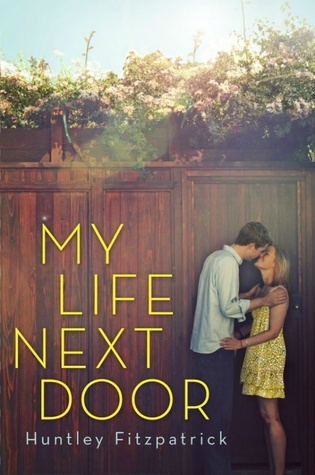 : "My Life Next Door" Offers Awe-mazing YA and So Much More! 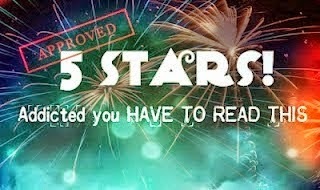 "My Life Next Door" Offers Awe-mazing YA and So Much More! Samantha Reed is the quintessential "princess in white tower". Said tower being guarded by none other than Sam's perfection obsessed and ultra conservative mother, Grace. While Sam's house has all of the best furnishings, and the latest and greatest appliances on the market; it is sadly lacking in family. For Samantha, they are everything she wants, but can never have. But a girl can watch...right? And that's just what she does...from her window...everyday. Until the day that he sees her...and everything changes. Jase Garrett. Beautiful, sun-kissed, good at building and fixing things, and the key that unlocks Sam's world forever. My Life Next Door is an unexpected gold mine. The story of what happens when a person is forced to choose between love, loyalty, and human decency. Samantha may have everything that she could possibly want materially. It becomes quite clear very early on in the read however, that the one thing that she wants more than any other...is family. But with a mother who's eyes are focused only on a achieving her goal of an election to the state senate, and a sister who more interested in her boyfriend and being as far away from home as possible; Samantha is a girl adrift. He is everything that you girl could want, and he has an awesome family! It is through him, that Samatha learns what normal is. She finds her 'safe place' and her heart finds its home. As it turns out, Samantha finds that she needs the shelter of the Garretts more than she ever thought that she would, as things at home get more chaotic than ever. Just when things seem to be righting themselves for Sam...Boom! Circumstances and mistakes she didn't make tear everyone's life apart. This is very much a character driven story. This is a very necessary vehicle in this read, due to the small scope of the story. It is very important for the reader to have very clear opinions about who is good versus bad...so on and so forth. For the most part, this is a very quick and light read, with the emotional and ethical bomb coming as the story nears its conclusion. This is a perfect summer contemporary for those who like a little thought with their HOT! Thanks so much! I can't wait for "The Boy Most Likely To" either! I really loved this book, and lost sleep reading it.